Deceit stands between Banjo Wilding’s love for Maggie O’Leary and his search for the father he never knew. 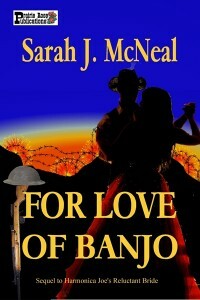 Banjo Wilding wears a borrowed name and bears the scars and reputation of a lurid past. To earn the right to ask for Margaret O’Leary’s hand, he must find his father and make something of himself. 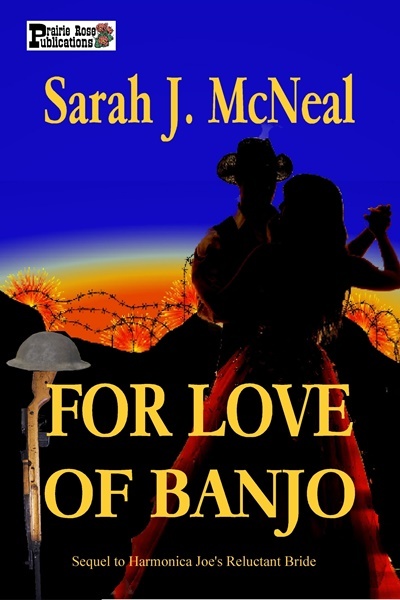 Margaret O’Leary has loved Banjo since she was ten years old, but standing between her and Banjo is pride, Banjo’s mysterious father, and the Great War. Will either of them find happiness? Banjo Wilding sat on the back porch, dug in his pocket, unfolded the letter Belle left for him before she died and began to read it one more time. He pushed the wire-framed glasses up onto the bridge of his nose, spread the worn-out paper on his knee and read it for the hundredth time. If you are reading this letter I must be dead. I left everything I own to you. Do what you want with the saloon but I ask you, as a favor to me, to help my employees find decent work and a home. Your mother left a sealed envelope for you to deliver to Mr. Richard Dutton in New York City. His address is on the envelope. She wanted me to give it to you when I thought the time was right. When you find him, you’ll find your father. I want you to have a wonderful life, Banjo, with a loving wife and family some day. You deserve it. When he finished, he folded it and placed it back in his pocket. A chilly wind bit at his cheek and overhead a red-tailed hawk flew on silent wings circling the pasture for some dinner—a rabbit probably. The smell of wood-smoke drifted on the wind and reminded him that autumn would soon turn into winter. He didn’t have much time left to make a decision about what to do. The snow grew mighty deep in Wyoming winters, and traveling anywhere would be at an end when that happened.